Are you trying to find a fitness program that just suits you? Do you feel that you may not be able to find such a program? Do you find it difficult to track your progress and achieve your goals? Do you find the tracking process too messy and hard to organize? If your answers to all or some of these questions are ‘yes’, here’s a solution for you that will probably let you take a sigh of relief! This is a new app named PerFicT! 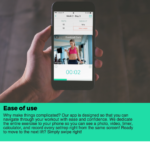 PerFicT is a social fitness platform with which you can find a fitness program that is just right for you. It has a huge database and you are sure to find a fitness program to meet your needs. Their library is full of thousands of fitness programs designed by certified personal trainers. And remember each program is different so you are sure to find the one you are looking for. Wherever on the earth you are, you can search through this database and find a program for you. Or you can choose one of the personal trainers who can work one-on-one with you and send you a full-length personalized exercise for you. Each program features appropriate photos and videos to help you understand fully how to carry it out. You don’t have to carry a pen, papers or anything else to note down the details. Everything is in the app and you just keep the app in front of you and go on following the instructions, that’s it! PerFicT will provide you the support you always need to carry out your fitness program and achieve fitness goals. The biggest hurdle in fitness programs is lack of motivation. PerFicT provides you a motivation by helping you compete with friends and keep tracking your progress. PerFicT is absolutely easy to use and is designed in such a way that you can navigate through it easily. There are photos, videos, timer, calculator and a record on the same screen; so you don’t have to switch between screens to know about different things. The PerFicT app needs funding support and with your help it can come into existence to help the world. Visit their campaign to know more.